There’s a scene in the final episode of The West Wing where White House assistant, Debbie Fiderer, (played by Lily Tomlin) watches as President Barlet’s picture is removed and replaced by that of President Santos. The moment, which happens with such grace and permanence, signified the absolute end of one administration and the beginning of another. Yesterday, Apple’s long-time CEO Steve Jobs resigned and was replaced soon after by the former Chief Operating Officer Tim Cook. However, while Jobs resignation is significant, it won’t be felt with as much significance as the example mentioned above. In fact, once you get past the shock of Jobs’ Wednesday night resignation, you’ll understand that Apple probably isn’t going to change anytime soon under Cook, for a number of reasons. Cook’s Been Leading Already First, Cook has already been Apple’s Acting CEO for a long time. He first served in that capacity for two months in 2004, when Jobs was recovering from pancreatic cancer surgery. In 2009, he again served as CEO when Jobs had a liver transplant. Finally, beginning in January, Cook took over again. 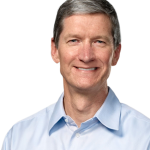 Prior to that, Cook served as Apple’s Chief COO since January 2007. In other words, while Jobs has been (and will most likely continue to be) the face of Apple, it is Cook that has been leading the company day-to-day off and on for nearly seven years. During that time, Apple has seen much positive change as it has transitioned from solely a computer company to something much more significant. In particular, the company changed greatly with the advent of the iPhone (in 2007) and iPad (in 2010). During that entire time, Cook was either around as Jobs’ COO or as the guy officially at the top of the food chain. The point being, things aren’t going to change that much at Apple, at least in the short-term. What Won’t Change For one, Jobs isn’t going anywhere since he will remain as the company’s Chairman. Therefore, his vision will shine brightly for many years to come. Second, if it isn’t broke, there is no reason to fix it. Apple is making more money across more products than at anytime during the company’s existence. And this fact isn’t because of Jobs exclusively, but rather because of the team that Jobs and Cook put together over the last decade. What Could Change Still, some things will change, if only so slightly. For one, Cook cannot replace Jobs in terms of presentation. Jobs’ presentations at MacWorld and WWDC are legendary and it will be difficult for Cook to wow a crowd as easily as his predecessor did. Second, it is clear that Jobs was the force behind most of the company’s cutting-edge products in recent years, in particular the iPhone and iPad. While it is safe to assume that under Cook these products will continue to advance, future products (those developed without Jobs’ day-to-day input) could prove a more difficult sell. Finally, there will be that one moment (in public or private) where Cook will have to remind people that he, and not Jobs, is in charge. At that point, it will be interesting to see what the reaction is like and what changes, if any, those will lead to. One More Thing On one final note, we say the following: We hope that Jobs’ exit as CEO doesn’t mean we’ve seen the last of him at Apple events. Naturally, we, like many others, assume this exit is because Jobs’ health has weakened to the point that he cannot continue. If that is the case, we only wish him the best. But, if Jobs were able, it would be nice to see him be the one to (finally) announce the iPhone 5 this fall. Not only would it give the world the opportunity to thank him one last time for all he’s done, but also it would allow Jobs to announce one final “one more thing.” About Tim Cook: Tim Cook is the CEO of Apple and serves on its Board of Directors. 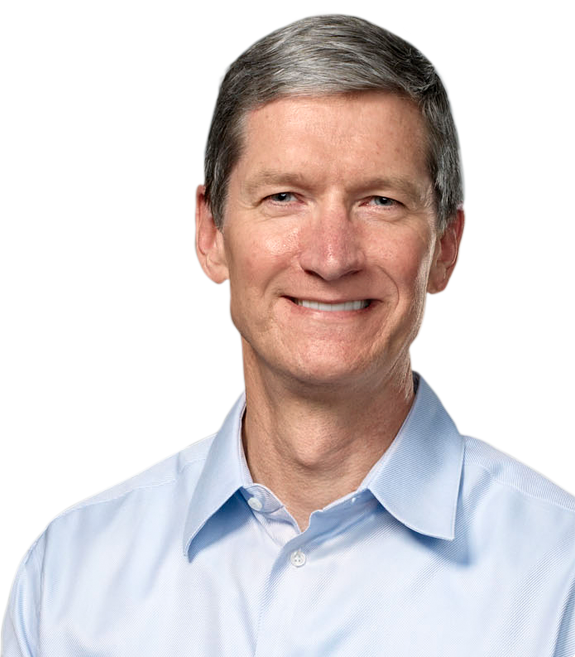 Before being named CEO in August 2011, Tim was Apple's Chief Operating Officer and was responsible for all of the company’s worldwide sales and operations, including end-to-end management of Apple’s supply chain, sales activities, and service and support in all markets and countries. He also headed Apple’s Macintosh division and played a key role in the continued development of strategic reseller and supplier relationships, ensuring flexibility in response to an increasingly demanding marketplace. Prior to joining Apple, Tim was vice president of Corporate Materials for Compaq and was responsible for procuring and managing all of Compaq’s product inventory. Previous to his work at Compaq, Tim was the chief operating officer of the Reseller Division at Intelligent Electronics. Tim also spent 12 years with IBM, most recently as director of North American Fulfillment where he led manufacturing and distribution functions for IBM’s Personal Computer Company in North and Latin America. Tim earned an M.B.A. from Duke University, where he was a Fuqua Scholar, and a Bachelor of Science degree in Industrial Engineering from Auburn University.